What is this Strategy Stuff? Sometimes at work we hear about strategy meetings. The executives have a strategy meeting. Corporate managers can have an off-site strategy meeting. Managers in a retail store or supervisors in a coffee shop can have strategy meetings. What they heck is strategy and why do people meet about it? The dictionary indicates strategy is a plan of action or policy designed to achieve a major or overall aim. Wikipedia indicates strategy is a high level plan to achieve one or more goals under conditions of uncertainty. The roots of the word strategy come from Ancient Greek stratos “army” and ago “I lead, I conduct.” When people meet about strategy they develop plans to get something done. The something done arises out of the commitment to an imagined future the group or leader wants to create. 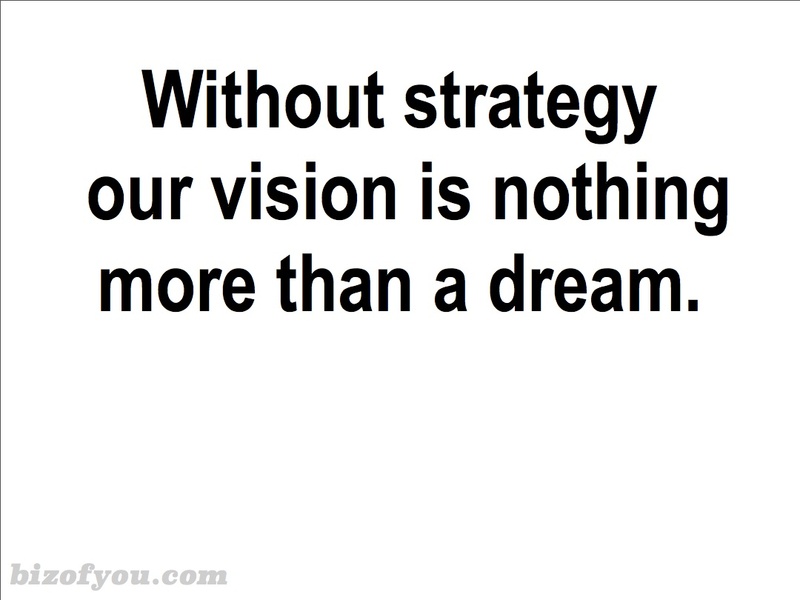 Strategy is born out of vision. How does strategy relate to the business of you? As individuals we are not an “army.” However, if we look at the roots of the word army, we find a relation to the Latin armor “to arm” arma “tools, arms” and an old Proto-Indo-European word h2er meaning “to join, fit together” For the business of you, we fit together the elements of our lives to accomplish something. From this perspective, strategy for our business is our plan to achieve the future we imagine for ourselves given the uncertainty we deal with in our particular situation. The intent of strategy is to improve our fitness of use within our environment or to shape or cope with our ever-changing environment. To create the future we envision, we pursue the strategies we develop. To create the future we see for ourselves, we have to pursue the strategy we develop to bring it about.